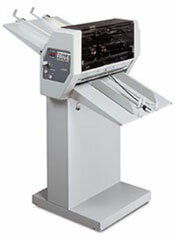 Martin Yale PL215/265 Fully Automatic Cutters - Roberts Business Machines, Inc. 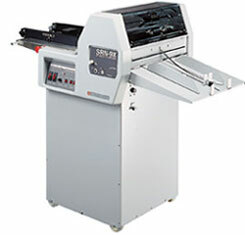 The Martin Yale PL215/265 Fully Automatic Cutters are the premier units in the series. Fully electronic, these units store (5) programs of up to 10 cuts each, provide five different language interfaces, and have Standard or Metric readout. Other premium features include auto advance mode, which automatically moves the backstop with each cut made (and leaves user free to manage the job!). Fully assembled in the USA from quality steel, this machine will be an asset in any graphics shops or production environment. Side tables optional (PL2T). Unit comes as 21″ (PL215) or 26″ (PL265) version.